●Weight (Boat only, dry): 1,750 lbs. 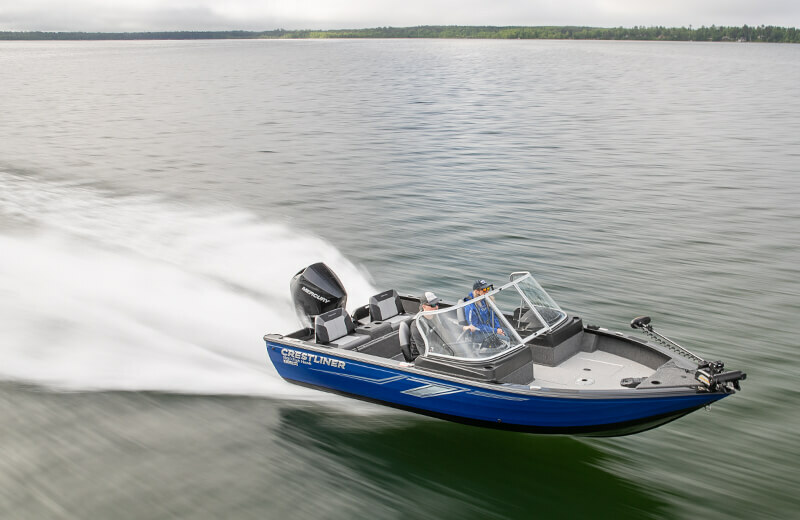 ●ROOMY COCKPIT: With our innovative hull design, the Fish Hawk sports a wider, more spacious cockpit for you to navigate. 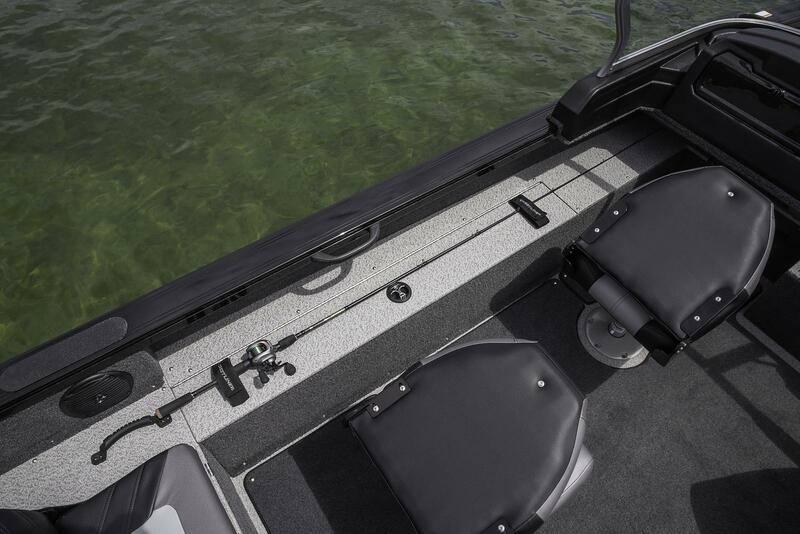 ●BOW CASTING PLATFORM WITH LIVEWELL & STORAGE: A large bow casting platform allows for easy maneuverability onboard. 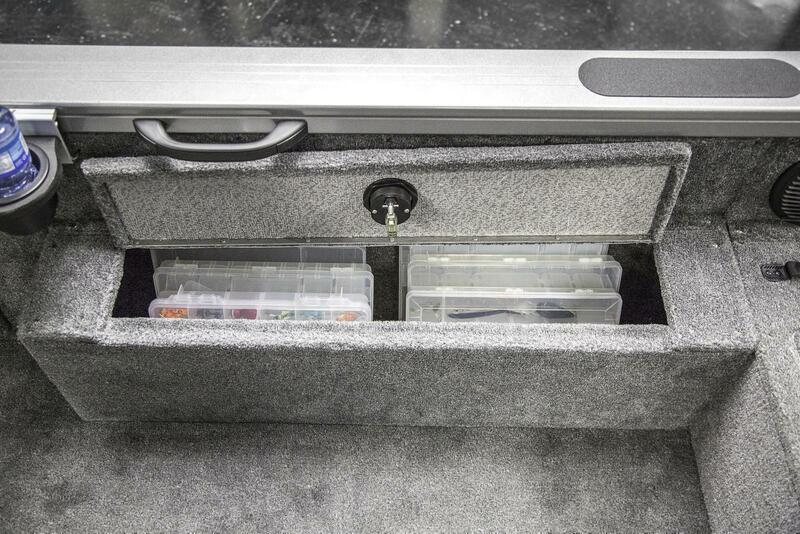 Deep storage compartments stow lots of gear and livewell keeps your catch fresh. 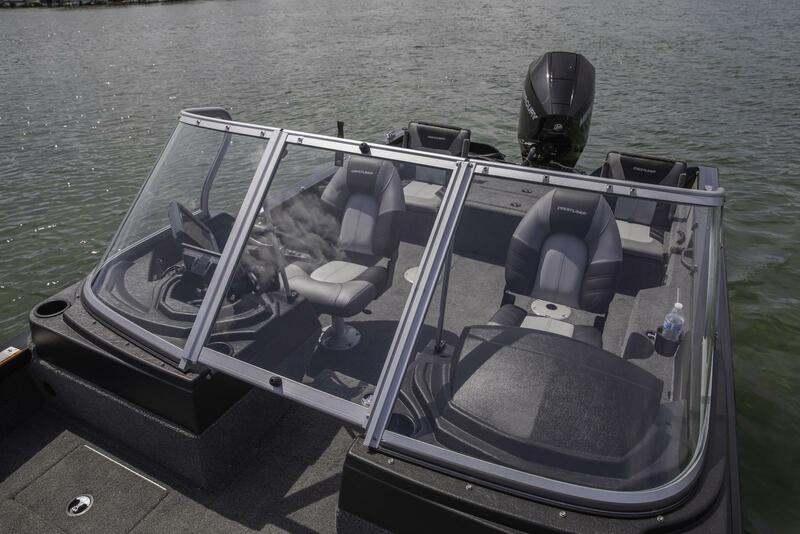 ●LOCKABLE PORT ROD LOCKER: The portside rod locker holds rods up to 9 foot rods, and includes topside rod straps to keep things secure when on the move. 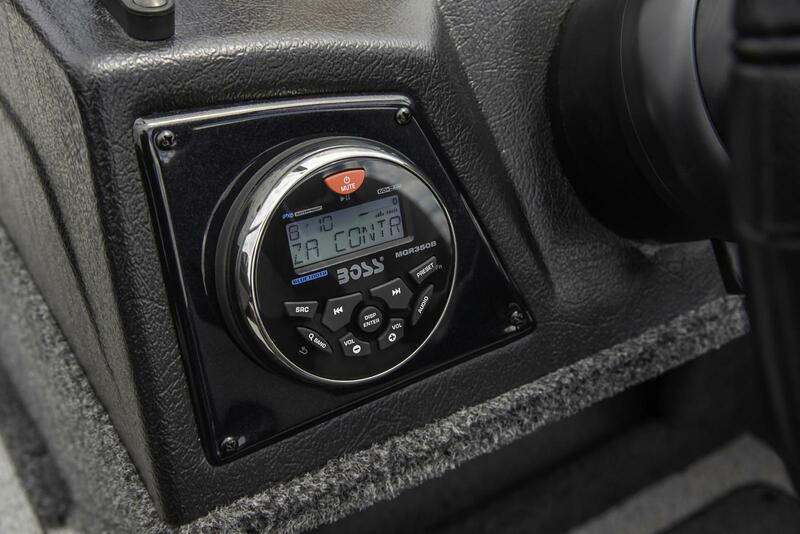 ●CENTER ROD LOCKER WITH BATTERY STORAGE: Locking center rod storage holds up to ten rods and its deep recess stores your optional trolling motor battery and charger. ●STERN LIVEWELL WITH BAIT BUCKET: A deep 17-gallon aerated stern livewell complete with timer, divider, and separate lids for the livewell and baitwell keep catches in prime condition. Baitwell includes bait bucket. 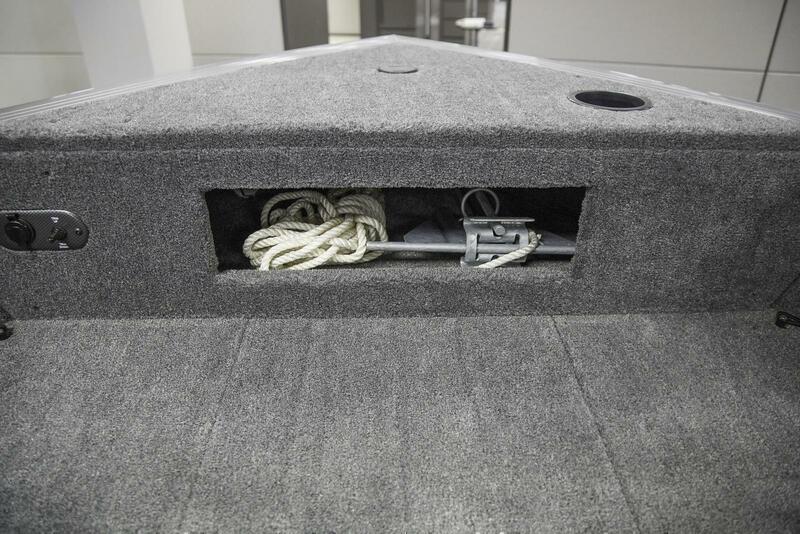 ●STARBOARD STORAGE COMPARTMENT: Keep fishing tackle, life jackets and anything else secure with the spacious, easy-access starboard storage compartment. 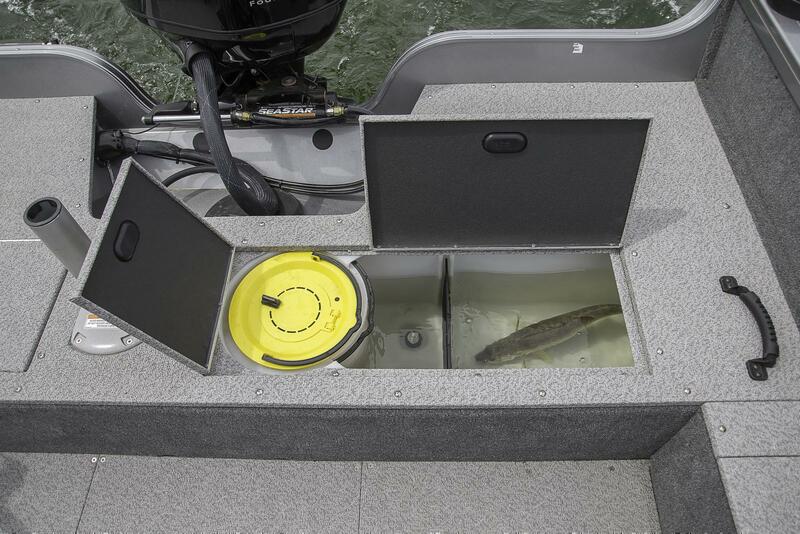 ●BOW LIVEWELL: The 1950 Fish Hawk features an 11-gallon aerated port livewell right where you need it, keeping your fish fresh all day. ● SUREMOUNT GUNNEL ACCESSORY SYSTEM: Removable SureMount aluminum accessory brackets lets you slide your favorite accessories along the gunnel for perfect placement without drilling.